i stopped blogging awhile back due to life interference. my husband and i were in the middle of buying a house and then i decided to get my real estate license. all interference, aside from my little oscar, has been silenced and i’m ready to get cooking. i’ve been going through a “back to basics” phase lately so i thought i’d ease into my return with a simple technique for roasting all kinds of different vegetables. by simply tossing the veggies in olive oil, butter, and fresh herbs, you can elevate even the humblest of plants to a side dish worth bragging about. 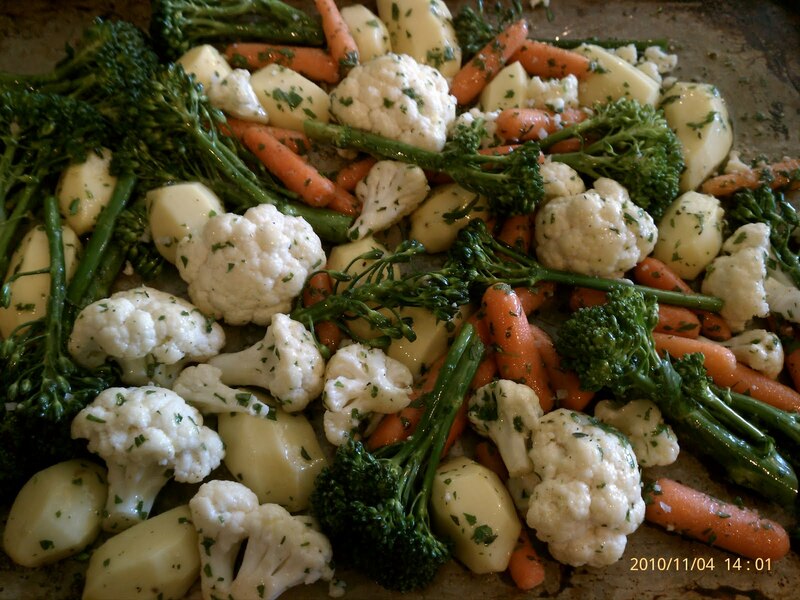 put all vegetables in a large bowl along with the herbs and salt and pepper. 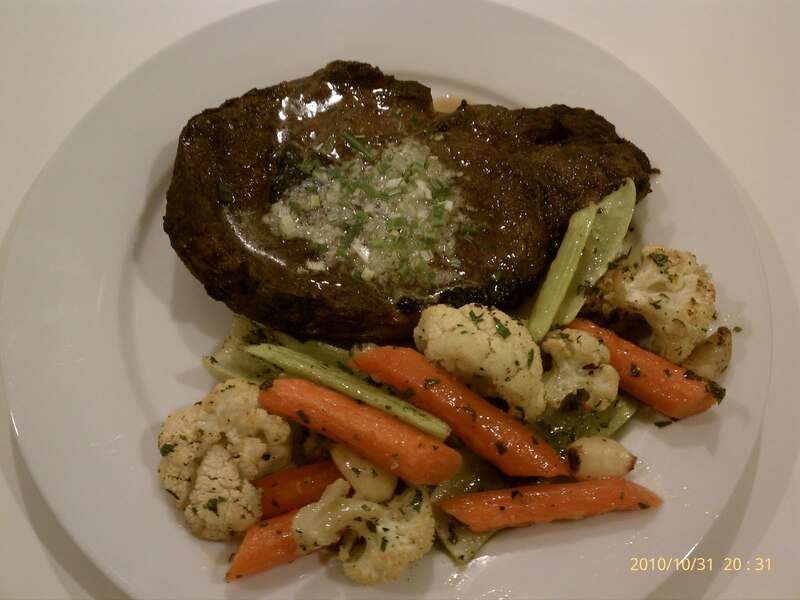 pour over the olive oil and melted butter and toss to coat. spread out onto a large sheet pan in one layer. 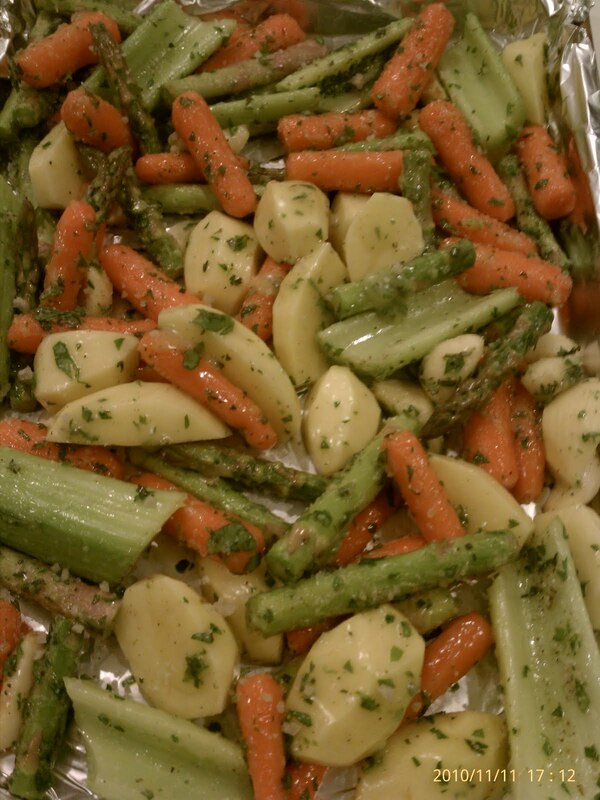 sprinkle with a small amount of gray salt and roast for 20 to 30 minutes or until just fork tender. it really is that simple! you can serve your roasted veggies alongside your thanksgiving turkey or a nice grilled steak with chive butter, but you can also keep your meal vegetarian and just make some rice or polenta for a beautiful “meatless monday” dish. the gray salt adds a nice briny crunch to this recipe and if you haven’t delved into the designer salt craze, this is a great place to try one out. i’m happy to be cooking and sharing again. i missed you! This entry was posted in Recipes, vegetables. Bookmark the permalink. Glad u are back!! Beautiful veggies!! Welcome back! I need some inspiration and here you are.